Let’s be honest here. Not everybody has a lot of cash lying around to visit where they’d like. That shouldn’t discourage you from traveling – not at all. Even going to the cheapest countries to visit their natural landmarks and architectural wonders will help broaden your perspective. We’ve decided to help out our fellow budget travelers with a few suggestions. Obviously, the world is a large place and it’s important to see as much of it as you can. As such, we’ve researched which are the cheapest countries to visit on each continent. Australia and Antarctica are two special cases, so you can guess why we won’t include them here. A little disclaimer: if you find a country that’s even more inexpensive for backpackers – make sure to tell us in the comments! In the meantime, let’s get this started. While Cuba is an island, it’s still considered a part of the North American continent. But let’s not bore you with geographical facts. 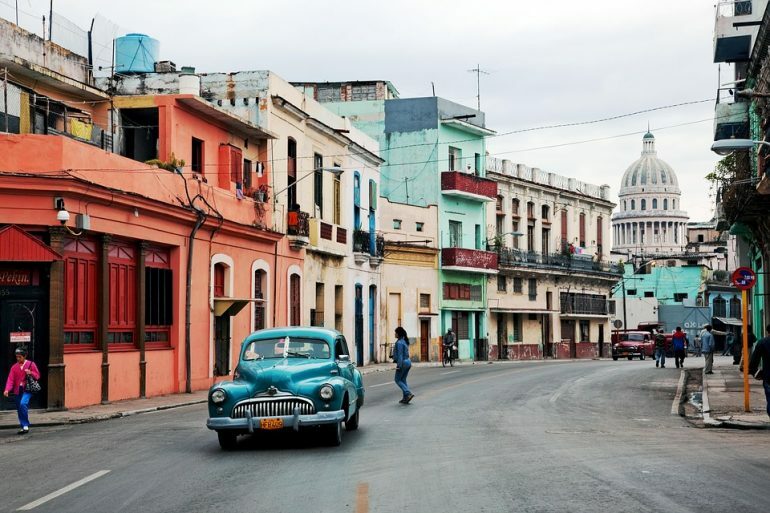 When you land in Cuba, it all feels like you’ve been transported back in time about 50 years. Classic American cars make their way through the streets, just like in old-timey movies! 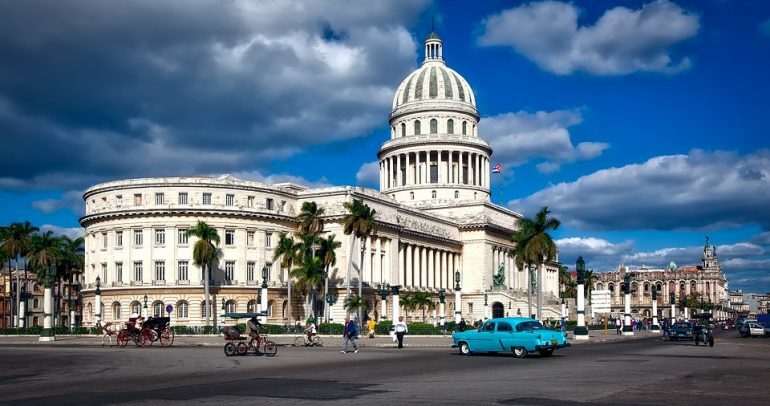 Because of its economic problems, tourism plays a great role in Cuba. That also means you can pretty much find lots of affordable casa particular to sleep in and places to visit. Just be careful not to carry all your eggs in one basket, so to speak. No matter how little money you carry around, it will get stolen if you travel alone, at night, in dangerous areas, etc. Try to fit in with the locals and don’t look too “touristy.” Oh, and as always, here’s how you can travel Cuba on a budget. Capital cities are usually much more expensive than the rest of the country. Fortunately, it won’t make much of a difference in Bulgaria. We have no idea why people don’t take a trip to this place more often. 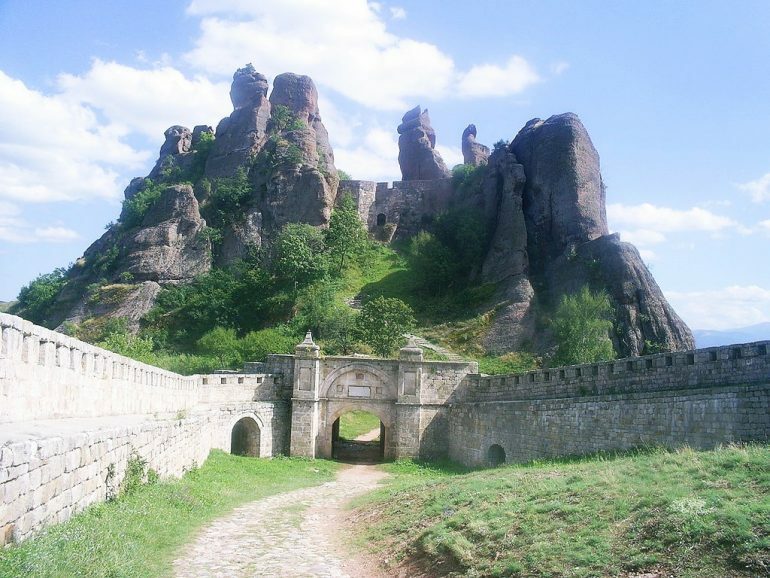 It’s one of the cheapest countries to visit and it has a very particular Balkan beauty you won’t find easily. In any case, you can take a tour of the capital called the free Sofia tour. It takes you through all the most important sites in the city – and it’s completely free! For those looking to spend as little as possible on their trip, such a tour is a godsend. 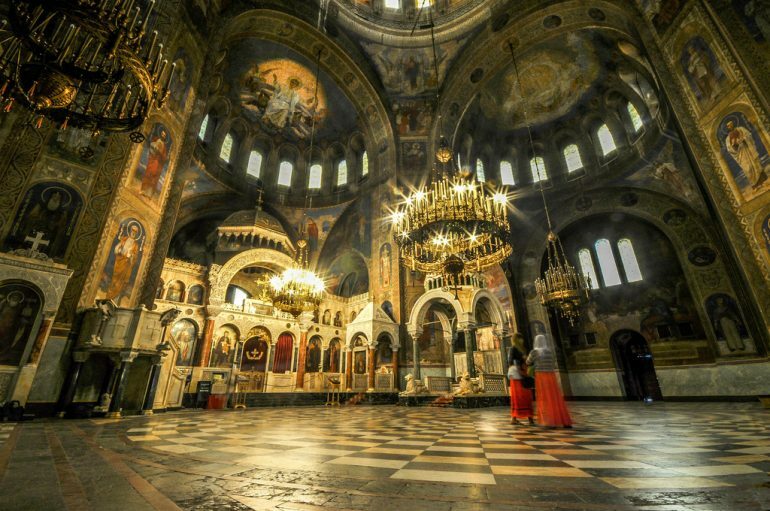 Be sure to check out how to explore Sofia for less than $25, as well! If we made a list of the cheapest countries to visit without regard to different continents, Asian ones would’ve made our top 5. That’s great news for budget travelers! Still, today we’ve focused in on Nepal. Here we have the home of Mt. Everest and some of the most colorful cities, such as Kathmandu. The capital is filled with various temples and monasteries. Not only that, but at temples like Swayambhunath you can see holy monkeys who live in certain parts of it! Just remember not to feed them; you might lose a finger in the process. Anyway, remember one thing while you’re visiting the city: there are no fixed prices for anything. You can haggle yourself into a better price – if you’re a good negotiator. Even if you’re not, you’re still bound to get a good deal. Nepal is just welcoming like that. If you want to get a clearer picture of the place, check out our complete Kathmandu city guide, as well! Tourism in Egypt has had a lot to suffer after the 2011 political protests. On the other hand, that also means it’s now one of the cheapest countries to visit in Africa. They’ve also devalued their currency in 2016 so you can find some sweet deals on anything you can imagine. 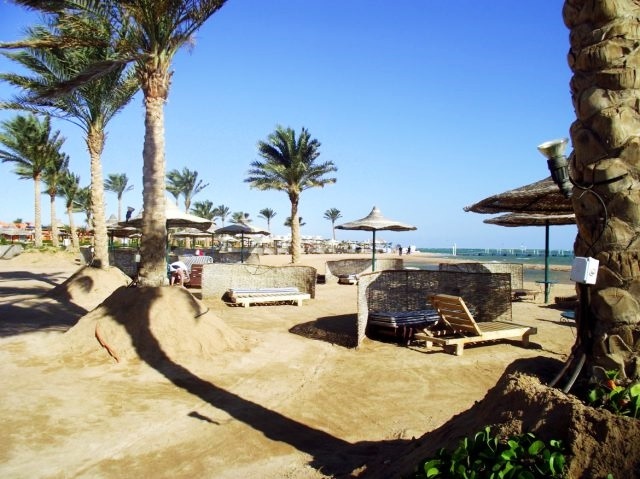 Guided tours to the Pyramids, camel rides, diving and snorkeling – the works. 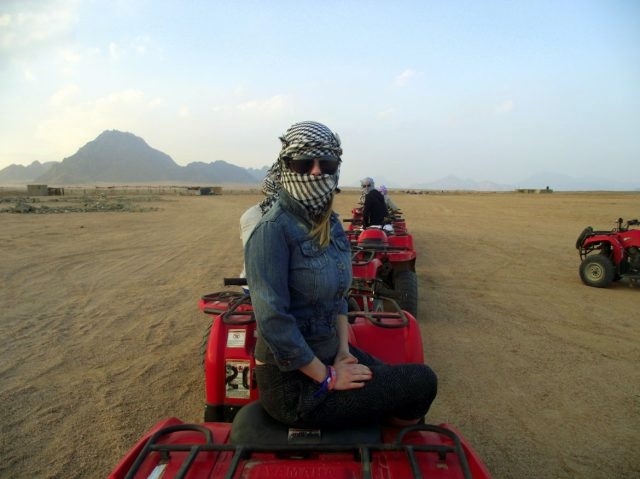 For example, we had a great time in Sharm El Sheikh back in 2011 when we started our journey around the world. Try it out for yourself. Just remember to not accept anything seemingly “for free” – such as being photographed on top of a camel. Scammers sometimes force you to pay a larger price just to get down! Then again, you can find all sorts of scams everywhere else in the world. Some people would like to go to one end of the world or the other – but did you ever think about meeting up in the middle? 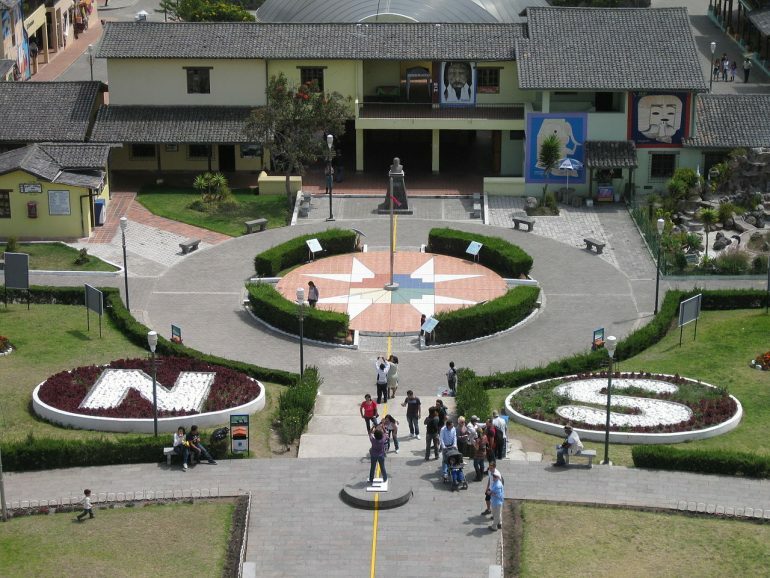 You can visit both a monument and a museum dedicated to the equator in the capital of Quito. It’s called “la mitad del mundo” – you guessed it, Spanish for middle of the world. But what we really want to know if it’s inexpensive to travel. Well, part of what makes Ecuador one of the cheapest countries to visit is the really low price of gas. The result is that cab fares and bus rides are really affordable. You’ll be able to cover a larger area without having to tire yourself (and your wallet) out. Not only that, but food items are also found on the cheap. You can basically head to the market with a few dollars, and buy fresh fruit and veggies to last you a few days. The street food is great, as well. If you want to save even more, here’s how to visit Quito on less than $25 a day. Cheapest Countries to Visit – Anything We Missed? You might remember that we invited you to suggest cheaper countries than those we proposed here. We’re always up for a challenge! Leave your suggestions in the comments. Tell us why you would include it on the list. Is it the inexpensive accommodation? The possibility to buy food in bulk for “a dime a dozen”? P.S. – Almost forgot. Do tell us if you’ve visited any of these countries as well! Although we are not backpackers we do love a good deal. I like how you have included some tips on safety and scammers. There is a fine balance between a good deal and a deal that is too good to be true. Nice post. As far as Europe goes, we’ve been to Serbia and Macedonia recently and both are among the cheapest countries in Europe (Macedonia especially was very inexpensive and food was fantastic). The cheapest place in Europe these days is actually Ukraine which we intend on visiting later this summer. I’ve heard that Macedonia and Serbia are quite cheap and that’s why we would love to visit them soon. Thanks for sharing your experience, Frank! Cuba cheap? That is not what I heard LOL. Anyway great article 🙂 … Never thought about Nepal…but it looks lovely. Cuba is very cheap for anyone but Americans. You can find all inclusive resort packages ranging from $500 – $800 CDN for a seven day vacation (flights included) if you are coming from Canada. Not sure what it is like for Europeans, but Cuba does get their fair share of German and French tourists. The only thing that adds to the cost of travel in Cuba is having to use the CUC instead of the CUP and tour operators charging visitors an arm and a leg for excursions if you book directly from the resort. If you book with local tourist operations and stay at Casa Particulars instead, then you can significantly reduce your travel expenses even further. Nepal was hyper cheap when we visited Kathmandu in 2013. I’d add – as far as regions – Chiang Mai in Thailand. Phuket ain’t cheap but Chiang Mai, and then, little quite Thai towns like Pak Nam Pran, are outrageously cheap. Easy to eat for a few bucks a day, lunch and dinner, and you can get awesome-sauce tasty food too. Love the place. I did not but lately I heard a lot of great things about the east of europe and I think I really need to give it a try. I have traveled a lot in Europe (easy, I am from Europe) but totally skipped the east so far. i need to change that! While I haven’t been there yet, I have heard that Nicaragua is also an extremely cheap country to visit. Apparently, it is becoming the “new Costa Rica” where you can combine ecotourism with beach life without breaking the bank too much. Everything from transportation, accommodations, excursions, and food are well within a $40 US/day budget. This are great places to visit. Nepal yes should be at my list because I live in Asia but I love Cuba, Ecuador, Bulgaria and Egypt anyway. Great helpful links, thank you. I’d love to visit all of these places! I’ve heard Cuba is getting a bit expensive, but it sounds like you can still find some affordable accommodation if you dig a bit. Love this kind of list! Albania definitely needs to be here, accommodation and food are both fairly cheap!